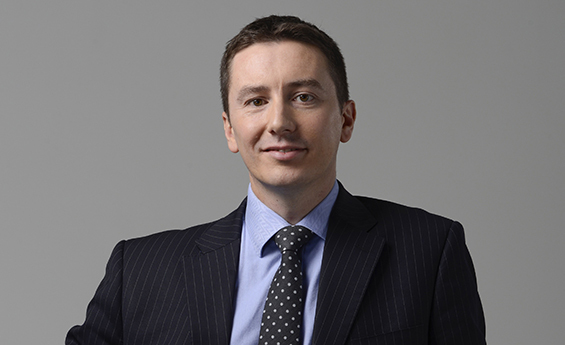 Lee Smythe is a chartered wealth manager whose job is to help others plan for the future and invest their own money. He says he tries to follow the same logical approach when it comes to his own investments. Smythe, who lives in Kent, with his wife and three teenage children, says: “I have always been an investor, ever since I left school. These days, Smythe doesn’t invest in individual shares, but instead looks at funds to ensure he has adequate diversification. His main priority is to fund his own retirement. At 44 this may be several decades away, but he also wants to ensure there are funds for more immediate needs. Not surprisingly given his job, Smythe’s first priority is to ensure his savings and investments are making the most of the various tax-efficient schemes available. “I have a stocks and shares ISA and a personal pension as my main investment vehicles, and split contributions fairly evenly between these. “They both have tax advantages and whilst the pension is best for me from that respect, the ISA allows the flexibility to access funds earlier that the pension, should I need them. Smythe typically has around six to eight investment funds within his ISA and pension portfolio. He says: “The main criteria for selecting investment are consistency of returns and value for money. Two of his top performing funds have been Fundsmith Equity and Lindsell Train Global Equity, with both funds delivering top quartile performance. In practical terms, this means the money he’s invested in each of these funds has doubled in value over the past five years. Both of these funds are highly rated by Morningstar. Fundsmith Equity has the highest rating from Morningstar, with both a five-star and Gold Rating. The fund has comfortably beaten both the benchmark and peers, delivering annualised returns of over 20% in the last five years, according to Morningstar data. However he adds that Smith appears to have a “good handle” on these risks. He adds that the fund has benefited from “style tailwinds” since launch, but adds that the manager has delivered significant value over and above this. Meanwhile Lindsell Train Global Equity has a Silver Analyst Rating and a five star performance rating - the top class. He points out that managers Nick Train and Michael Lindsell have more than 30 years experience including several years managing global equity portfolios, prior to launching this fund in 2011. The crux of the managers’ investment philosophy is the belief that a concentrated portfolio of high quality cash-generative, strong and easily understood business franchises will outperform the market and reduce volatility over the long term. Smythe will invest in funds that he recommends to his clients. He adds that this will partly depend on individuals’ investment goals and appetite for risk, but he thinks it’s important that he is investing his own money into recommendations he makes. He will rejig his portfolio when necessary, but adds that there haven’t been “any real disasters” along the way.